Brides, your wedding dress is one of your most personal statements on your wedding day. Your dress can have a large influence on how you’re feeling during your ceremony and reception. How do you find a dress that makes you feel confident and beautiful? We’ve included some tips to make finding that dress out of the millions of wedding dresses that makes you feel radiant! Wedding dress shopping can be an equally exciting and daunting task for brides. All wedding dresses are beautiful, but the dress that is most beautiful on you is the one that reflects who you are. When you find “The One”, brides usually start thinking about their best qualities that are illustrated through the dress: confidence, elegance, boldness. Everyone at your wedding is there to see you shine, so find the dress that makes you feel beautiful and most like yourself! So that’s the goal, but how do I find “The One”? Before trying dresses on, research bridal shops and designers that reflect your aesthetic or theme for yourself and your wedding day. Instagram and Pinterest are powerful resources to find out what kind of dresses are out there. Once you’ve picked a couple bridal shops and designers out and make it to your bridal appointment, don’t be afraid to try on styles completely different from what you originally imagined! 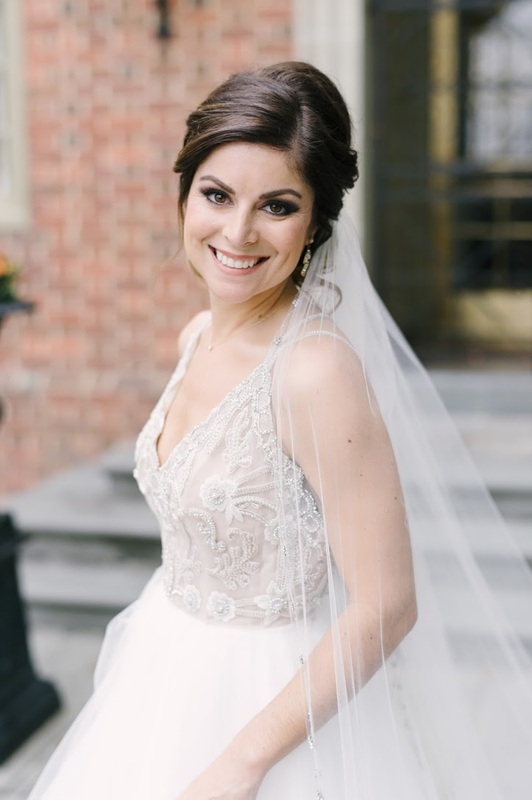 So many of my brides go into a bridal shop with a vision of their perfect dress and come out with a completely different, even more perfect dress. Stay open-minded and have fun trying on gorgeous dresses! Be sure to bring people to your bridal appointment whose priority is that you are happy with your dress in order to eliminate stress and keep things upbeat. A couple more tips for the dress itself: First, make sure your dress is within your budget or right over it, for obvious reasons. Second, take comfort into account when choosing your dress! Again, your dress influences how you’re feeling on your wedding day, and being in an uncomfortable dress can create anxiety. Third, if you know your venue when going to try on dresses, try to match your dress to it. If you’re having an outdoorsy woodsy wedding in hot July, a hot satin ball gown might not be practical for you. When you try on “The One”, you’ll know. Trust your gut feeling; when you start crying, imagine yourself walking down the aisle in that dress, or feel absolutely radiant, those are all signs that you’ve found “The One”! And if you don’t find “The One” right away or at your first bridal appointment, don’t be discouraged. Keep researching, even in untraditional ways. Etsy has become a bridal hub in the past decade, and many designers are selling their dresses online now! If you have any questions or think that you might need some assistance or advice about wedding dresses, comment below or send us at Night and Daye Events and inquiry! We are more than happy to help!